Artificial Intelligence (AI) is poised to drive the next wave of digital disruption as it moves from buzzword to reality. According to Tractica, by 2025 the global annual revenues for AI-based products and services will grow from $1.38 billion in 2016 to $59.75 billion by 20251. Meanwhile Accenture reports that funding for AI start-ups has been growing at a compound annual growth rate of nearly 60 percent since 20102.. The largest vertical markets for AI include fintech, healthcare, transportation and retail. Amazon, IBM, Microsoft, Google, SAP, Salesforce and GE are just some of the tech giants placing their bets on AI. But what exactly is AI, and why should the print industry be paying attention? While the pursuit of artificial intelligence has endured for the past 70 years, it is only recently that dramatic technological advances have truly accelerated the march of machines. In the 1950s, Alan Turing launched the AI era with the infamous Turing Test in his paper Computing Machinery and Intelligence. This introduced The Imitation Game, based on the premise ‘can machines think?’. The term ‘artificial intelligence’ (AI) was first coined by Prof. John McCarthy in a 1955 proposal for the first AI conference held in Dartmouth, US. The objective was to explore ways to make a machine that could reason like a human, and would be capable of abstract thought, problem-solving and self-improvement. Today, the availability of high-end graphical processing units (GPUs), improvements in algorithms and the exponential rise and abundance of data have accelerated the effectiveness of AI. AI has become an umbrella term for technology that simulates the intelligence of humans in machines – making it possible for them to learn from experience, adjust to new inputs and perform human-like tasks. Using these technologies computers can be ‘trained’ to accomplish specific tasks by processing large amounts of data and recognising patterns in data. It is important to note that AI is not one single technology but a blend of several – including machine learning, deep learning, natural language processing (NLP) and cognitive computing. What many consider to be some form of AI is already part of our everyday lives and transforming how companies connect with their customers. From advanced rules engine-based systems such as chatbots and virtual assistants – think Siri or Alexa – to the use of predictive algorithms to make recommendations based on a user’s purchasing or browsing history – such as Google, Netflix or Amazon. However, this is just one component of AI, and despite the hype, bigger steps towards meaningful and true AI is still some way off. Nevertheless, the combination of machine learning and deep learning techniques do hold promise in helping drive innovation, productivity and efficiency for businesses and their employees. As such basic ‘AI’ gains momentum, companies will need to consider the benefits of applying these technologies to their products and services. How can the print industry take advantage of AI? AI can be applied across the following areas, providing new opportunities for manufacturers and their channel partners to enhance existing services. Predictive maintenance. Combining big data and AI allows companies to drive greater efficiency by performing predictive maintenance more effectively. Predictive maintenance is nothing new to the print industry, and service quality and efficiency is the top reason that organisations turn to a managed print service (MPS). Most devices – networked printers, copiers and multifunction printers (MFPs) – have embedded sensor technology which enables data to be collected and analysed. However, the volume of data that is generated by connected print devices has yet to be fully exploited beyond continuous monitoring. In many cases print management analytic tools are not designed for massive data analysis, and often not flexible enough to incorporate machine learning. The key to improving business efficiency is to take the next step, and combine advanced algorithms with machine learning to take action from real-time insights. Print manufacturers need to determine the best ways to embed intelligence into their devices, and then develop the optimal techniques for collecting and analysing data to generate usable insights. Protection against security threats. AI has the potential to be both a friend and foe when it comes to security. 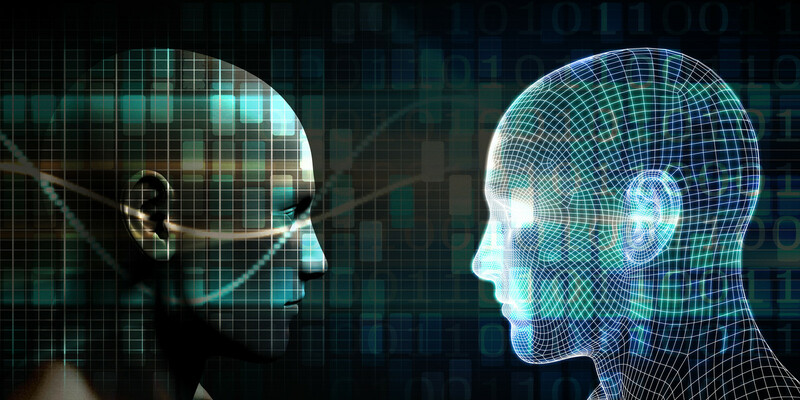 It is thought that the next generation of malware will use AI in order to behave like a human attacker, identifying targets and evading detection. As networked printers and MFPs are effectively IoT connected devices, this will demand a new class of security that uses AI to enable devices to self-monitor and self-heal. Instead of occasional device-level patches, machine learning combined with more advanced AI decision making will help manufacturers to provide network-level behaviour analytics and real-time anomaly detection. Where a security breach occurs, an effective and rapid response using machine learning in combination with an advanced analytics engine can optimise remediation efforts. Paper to digital automation. Although many businesses remain reliant on paper, the acceleration of digitisation initiatives is well underway. Robotic process automation (RPA) is complementary to AI in that it is a class of software that replicates the actions of humans in order to run business processes. Although RPA robots do not have the ability to self-learn, when the technology is combined with AI it can be extremely powerful. Certain industry sectors such as banking and insurance are already using intelligent automation based on NLP and deep learning techniques. Although not necessarily true AI, this technology uses algorithms to understand complex unstructured documents such as handwritten and typed information, and convert them into legible and categorised digital files. Repetitive manual-based jobs such as claims processing and quotes can be effectively handled using this approach. The automation of paper-based processes is both a challenge and an opportunity for the print industry – if AI can be embedded in document capture platforms it will provide a much-needed bridge between the paper and digital worlds. The print industry is already facing the reality of digital disruption. While mainstream adoption of AI may still be some years away, many businesses are keenly aware of its potential value. Forms of AI in intelligent document automation is happening now, and presents another wake-up call for the print industry. Consequently, print vendors need to start investing now in the technology that will keep their devices and services relevant. It is interesting to note that the first photocopier was introduced in 1959 by Xerox not long after the term ‘artificial intelligence’ was coined. The convergence of the physical and digital worlds is truly upon us, and it is up to the leaders in the print industry to reinvent and reimagine their offerings for the next era of AI. To learn more about digital disruption in the print industry please register for the forthcoming Print 2025 study.